Kate Kostecky is a former Princeton University Admissions Officer, where she evaluated thousands of applications and selected students for Princeton’s incoming class. Ms. Kostecky read applications from all over the world, with a particular focus on New York, the Southeast, and the Southwest; she also traveled to high schools and college fairs in the greater New York City area, the Midwest, and New England as a representative for the university. Ms. Kostecky organized and tracked the art supplements submitted by applicants and was responsible for planning many aspects of Princeton’s accepted student event, Princeton Preview. She also participated in the Ivy+ Conference, working with admissions officers from Princeton’s peer institutions. 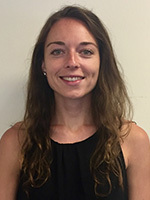 Ms. Kostecky graduated from Davidson College, earning a major in French and Francophone Studies and a minor in Theatre. Committed to both athletics and the arts, Ms. Kostecky ran NCAA Division I Track and Field and Cross Country and was named the Rupert T. Barber Theatre Scholar. While at Davidson, Ms. Kostecky also led admissions tours, welcoming prospective students and families to campus. In addition to working with private clients, Ms. Kostecky leads Expert Admissions’ college counseling initiative with the non-profit Rosie’s Theater Kids. Ms. Kostecky holds professional memberships in the National Association of College Admissions Counseling (NACAC), the Independent Educational Consultants Association (IECA) and also in the International Association of College Admissions Counseling (International ACAC).